MPs fail to retain the Precautionary Principle. What does it mean for baby food marketing ? This is a terrible shame, but what does it mean for baby food marketing? As as result of our campaigning and that of european parliamentarians The precautionary Principle is embedded in EU Baby food and formula regulations. While the legislation does not meet World Health Assembly marketing requirements (it is weak on the marketing of products for babies over 6 months) this is an important safeguard that must be promoted and protected as the UK considers its trading relations with the US and other countries that allow risky products and technologies onto the market. Regulation (EU) No 609/2013 of the European Parliament and of the Council of 12 June 2013 on food intended for infants and young children, food for special medical purposes, and total diet replacement for weight control. Click here for the Inquiry into UK US Trade relations. Unfortunately EU Regulations leave the task of checking whether ingredients are safe to Member States – not all have the capacity to do this properly. Once an ingredient appears on sale in one country it can then be marketed throughout the EU. Very disappointing close vote which I agree will inevitably further weaken the WHA marketing requirements. 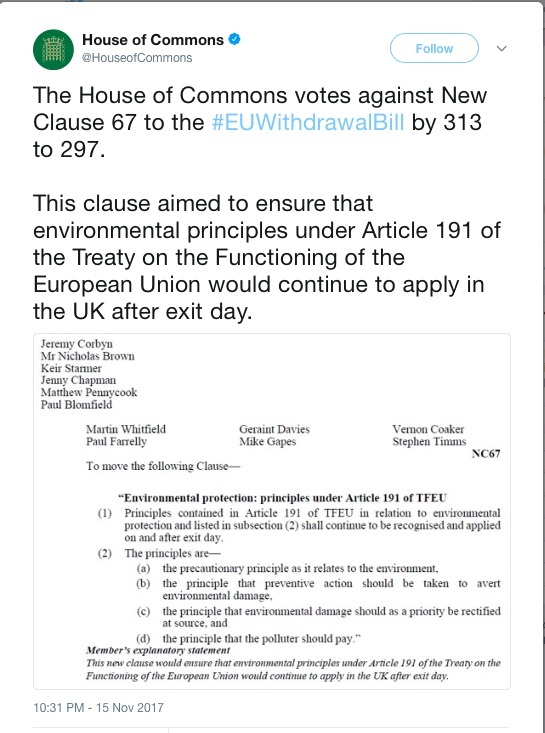 The UK must hang onto the Precautionary Principle rather than deal with the costly effect of a hazard which may come as a result of this vote.